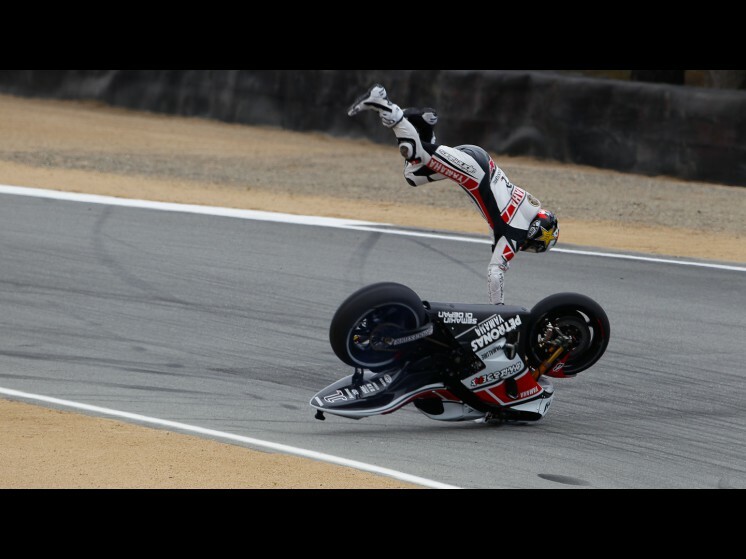 Jorge Lorenzo shouldn’t have earned second place in the Laguna Seca Moto GP main event. In fact, Lorenzo shouldn’t have even been riding at all, let alone outrunning everyone but Casey Stoner. In Saturday qualifying, Lorenzo suffered a high-speed high side which slammed him to the pavement hard. The data recorder in his Alpinestars Air suit registered 25Gs of hard. That kind of hit could have ended more than just Lorenzo’s weekend. Fortunately, thanks in part to deployment of his air suit’s two internal bladders mere milliseconds before impact, Jorge came away bruised and sore but still able to race the next day. Impressive! 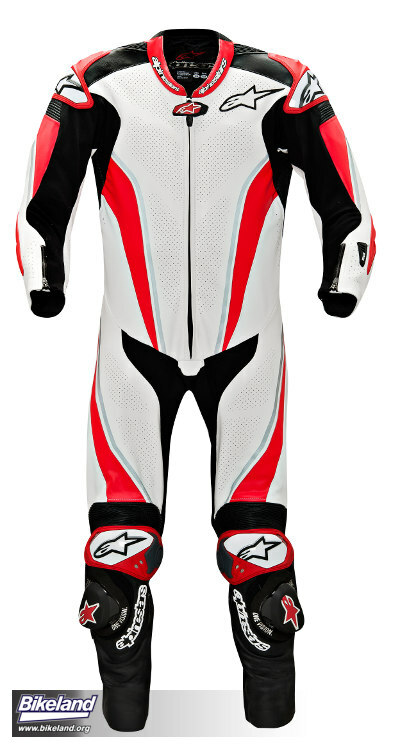 After 10 years of development, Alpinestars is bringing its patented air suit technology to market in Europe this summer with North American release slated for Spring 2012. At an SRP of 6,000 Euro some might think it’s a lot of money…or maybe not. 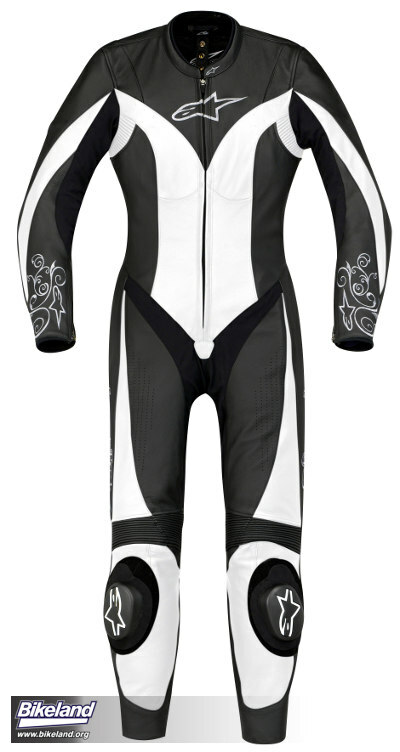 More accurately, the price is 3,600 Euro more than the same suit without air protection. The air technology is self-contained in the suit’s hump. It uses proprietary algorithms and sensors to monitor rider arm and leg movements and determine precisely when to activate inflation of its dual air bags. Bag placements are focused on protecting the clavicle and shoulders. Dani Pedrosa and Toni Elias have found a lot to like with their air suits this year. Elias crash-tested his twice in one day. 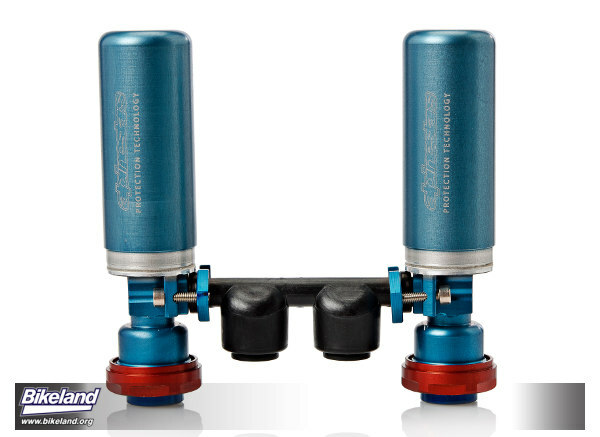 The system’s dual charge design can handle two deployments in quick succession if necessary. Although Pedrosa broke his collarbone at Le Mans, the crash force exceeded the recorder’s 30G limit! One can only imagine the result without it. Since the air suit doesn’t totally morph you into the Michelin Man when you bail, you have to decide if 3,600 Euro is worth the additional protection. As Dani has demonstrated, collarbones can heal pretty quickly and often without surgery, especially if you’re not in a points chase. Shoulder injuries are a different story though; they can be more complicated and even career ending as World Superbike Champ Neil Hodgson and others have unfortunately experienced. 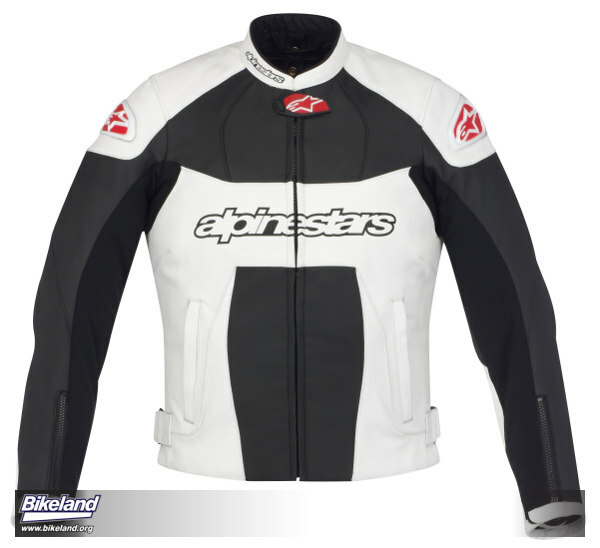 If you’re a serious track day rider or racer, Alpinestar’s air suit technology may be an investment worth considering. Have you had a broken collar bone or crash related shoulder injury? Bikeland wants to know what you think it would be worth to reduce the chance of experiencing it again. Discuss it in our forums. The high-tech Italian gear company's innovation and diversity continue with thirty-one new boots, suits, jackets, and gloves, including women’s gear. 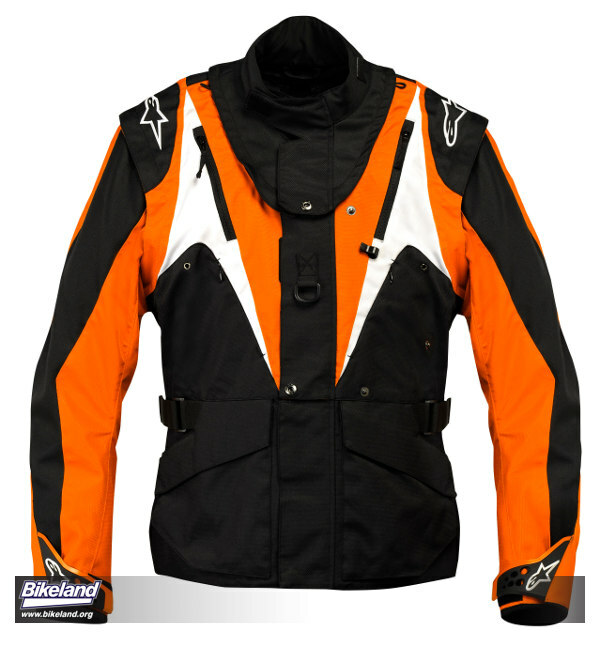 Continued expansion of the Adventure riding and Tech Touring range includes a new Marc Coma developed Enduro jacket. The $279.95 Venture jacket is optimized for use with Alpinestars Bionic neck support system and includes a hydration pack compartment & clips. Building on last years Durban series, a highly ventilated Cape Town Air Drystar Jacket is available in a tasteful High-viz yellow design as is a new Lucerne Drystar all weather sport-touring jacket both at the $299.95 price point. High-viz is becoming a design focus as more markets realize conspicuity’s value in motorcycle safety. Alpinestars approach foregoes the road worker/crossing guard look and uses Hi–viz as an integrated styling element to increase appeal to more riders. The weight reduction demands of Moto GP development even includes riding gear suppliers. A-Stars is using race-derived materials and designs in a variety of production goods to benefit those of us who might weigh more than Dani or Jorge. 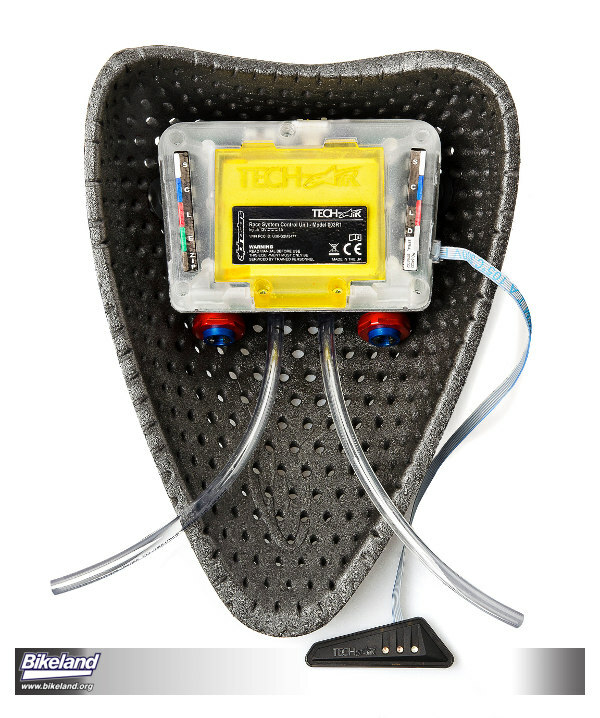 The top-of-the-line Supertech R race/performance boot is a good example. 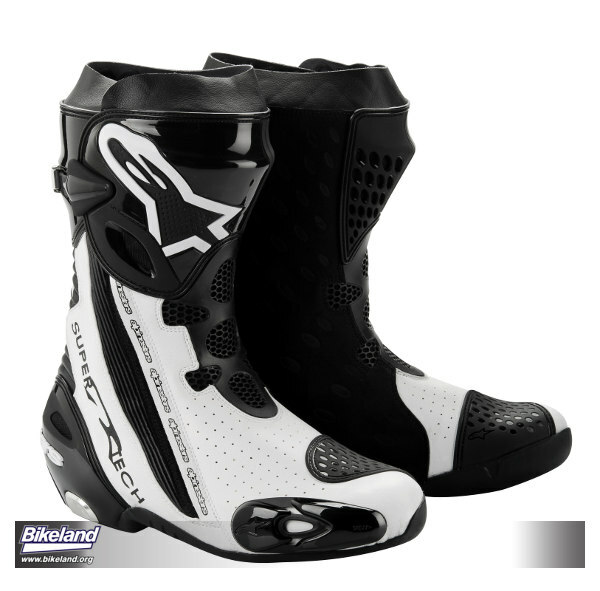 The result of WSBK and Moto GP rider feedback, the $449.95 Supertech R uses a new 3D technical mesh inner boot to reduce weight. It’s also designed to greatly enhance breathability, comfort and feel. The widely favored Tech 8 MX boot is now 15% lighter featuring a new two piece inner boot and gel pad sole. It purportedly requires no break in. Bikeland’s 3 minute try on confirmed the new Tech 8 is pretty comfortable and compliant right out of the box. 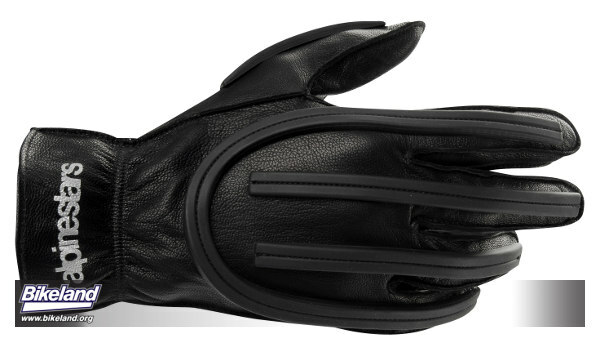 At the other end of the scale Alpinestar is offering vintage MX riders a classic MX glove. The $69.95 Weed Puller glove even comes with 1970’s era Alpinestar logos. All products should be available at dealers in September.